Yes, legalization is just around the corner. 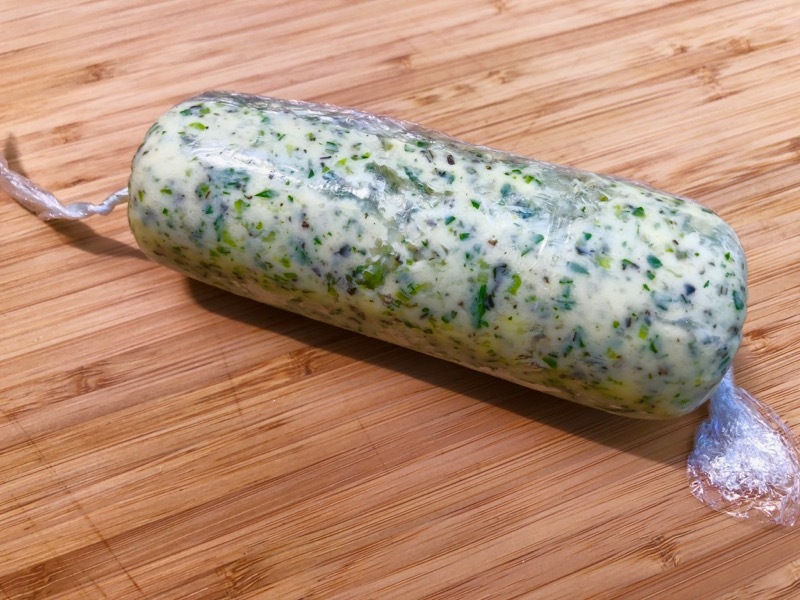 No, it’s not that kind of herb butter. There are other sites for that. With it being a ripping hot summer, I figure you don’t want to be spending a bunch of time in the kitchen and will be doing plenty of simple grilling instead. You need condiments, not recipes, so here’s a good one. Put a slice of this on that grilled steak and taste what you’ve been missing all your life. Place all ingredients in a small bowl and use a fork to combine. Place the butter mixture onto a sheet of cling film in the shape of a rough cylinder about three centimetres in diameter. Wrap the film around the butter, twist the ends of the film and spin to form a tightly shaped cylinder. Refrigerate to harden. Slice off disks to serve.